LONDON — Manufacturing in Britain rebounded in August from a slump in the immediate aftermath of the shock vote to leave the European Union, an indication that the economy may be weathering the uncertainty better than expected. A measure of business activity in manufacturing, the purchasing managers' index, jumped to 53.3 points from 48.8 in July. The index is on a 100-point scale, with figures above 50 representing growth. The survey found that a plunge in the pound had helped companies selling abroad. Also, business was resuming after being frozen in July amid the initial surprise over the vote and political chaos in Britain. Britain's exit, when it happens, could cut the country off from the 28-nation EU's single, tariff-free market. That could make it more expensive to trade with what is now the world's biggest economic bloc. The aftermath of the vote also saw deep turmoil among the main ruling parties. 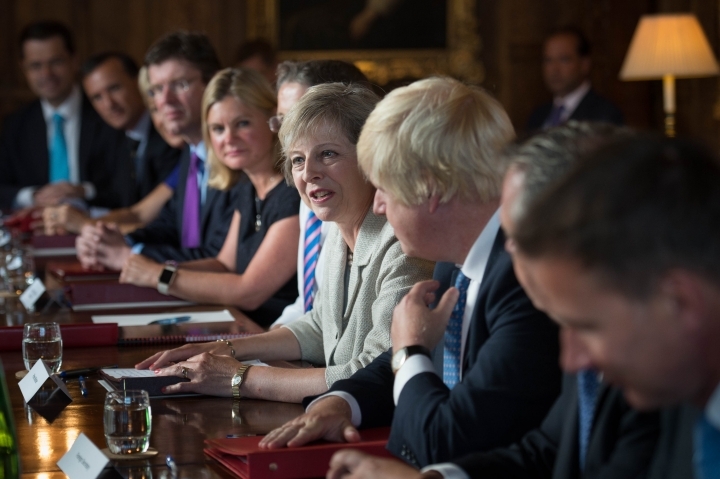 Since the first weeks of uncertainty, a new government has come to power and the political process over "Brexit" has been effectively put on hold, reducing some uncertainty. The government could take months yet to activate the EU clause that would put in motion its exit from the bloc. The exit itself would take years, making any actual impact a distant prospect. "Manufacturers and their clients started to regain a sense of returning to business as usual," said Rob Dobson, senior economist at IHS Markit, which compiles the survey together with the Chartered Institute of Procurement & Supply. The drop in the pound, which lost some 12 percent against the dollar since the vote, boosted export orders in August by making them more price-competitive in the international market place. One of the downsides of the pound's fall is that it is increasing the cost of imported raw materials — like metals, grains and oil — at the fastest rate in five years. That's likely to feed into the ultimate cost of goods, increasing the cost of life for British people. Thursday's survey adds to a body of data that shows that some parts of Britain's economy may be getting past the initial shock of the vote to leave the EU. Consumer spending and house prices have mostly held up, though companies have largely fared worse. The services sector, the biggest part of the British economy, appears to be most vulnerable to an eventual exit and could benefit less from the pound's drop. The Bank of England has provided a range of stimulus measures to help the economy, which may have supported business confidence. But economist Daniel Vernazza, from UniCredit Bank, says "we'll need to wait for one or two more months before we can be more confident of underlying activity." He still expects Britain's economic growth to slow to zero in the July-September period.